The Mavenlink office in Irvine had recently expanded, leaving a couple of walls sticking out for their blank and empty states. These empty walls unintentionally became a focal point in the office, and needed to utilized without placing furniture on the walls. In order to diminish the amount of visual weight that these walls were attracting, and to tie the brand into the office space more, I built out several wall art pieces. 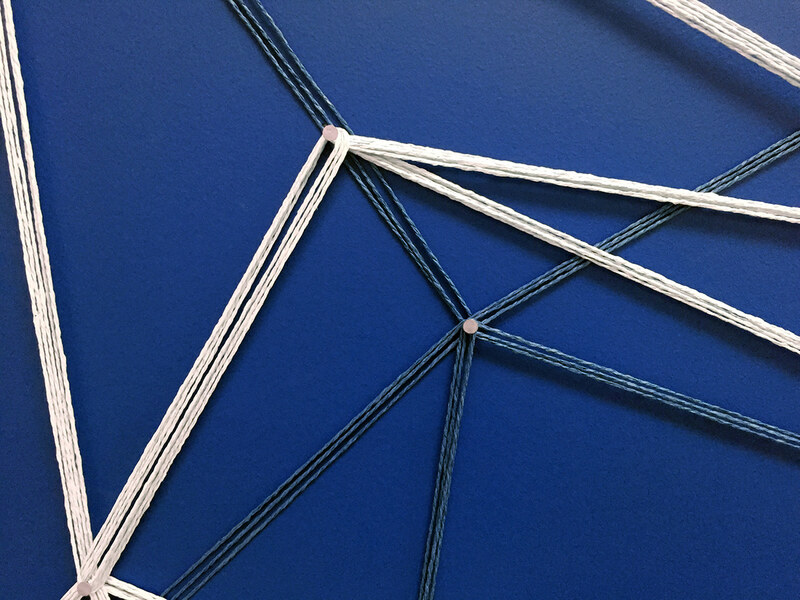 In its simplest form this art instillation is just string and nails. 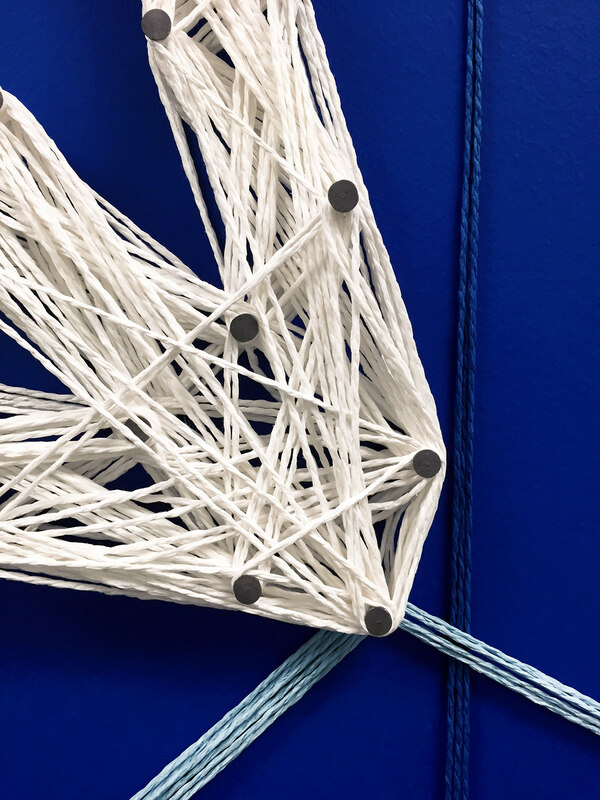 However, when you take a step back and look at the larger Mavenlink brand, the texturing of the string and layered approach to building this art, ties into the visual system that Mavenlink uses to portray interconnected ecosystem. 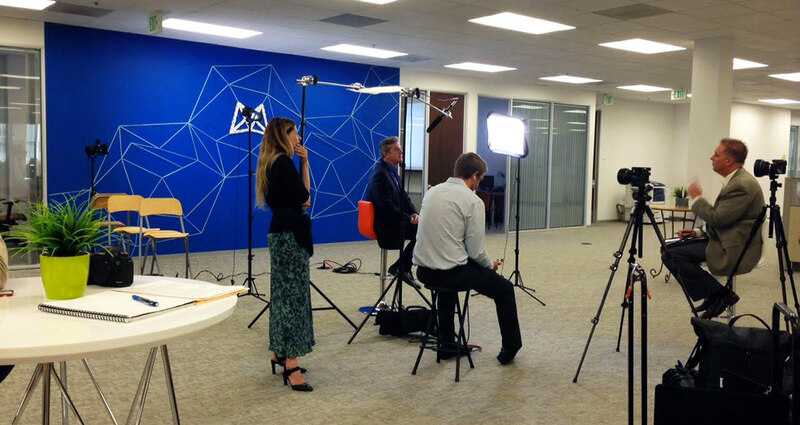 The Mavenlink CEO Ray Grainger being interviewed with the art instillation in the background. Our Irvine office recently expanded their office and needed some artwork installed. 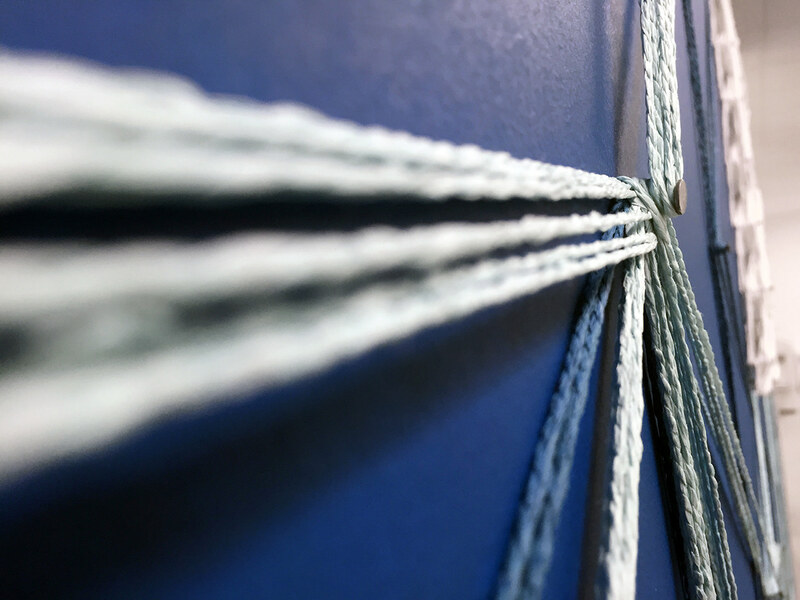 I looked at their massive blank walls as the perfect canvas for a string art installation. 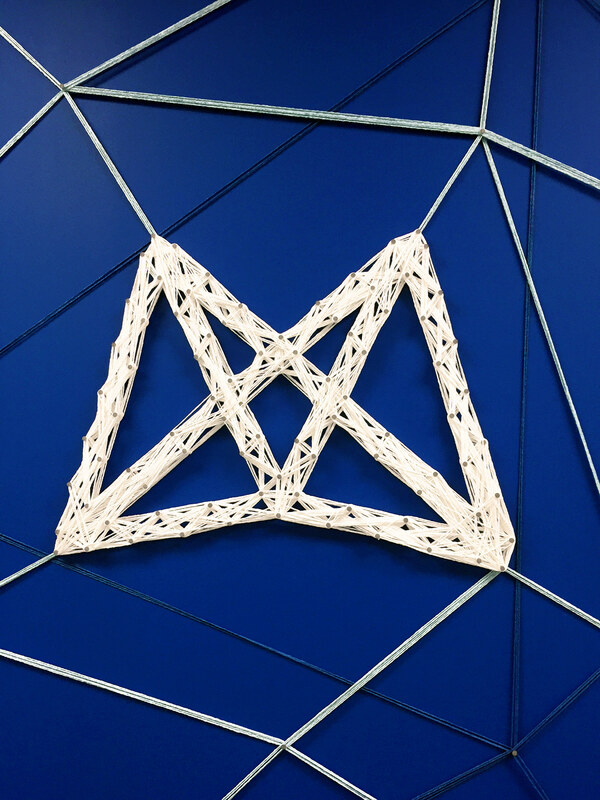 The string art perfectly reflects how Mavenlink connects people, projects, and profits together into one seamless ecosystem.